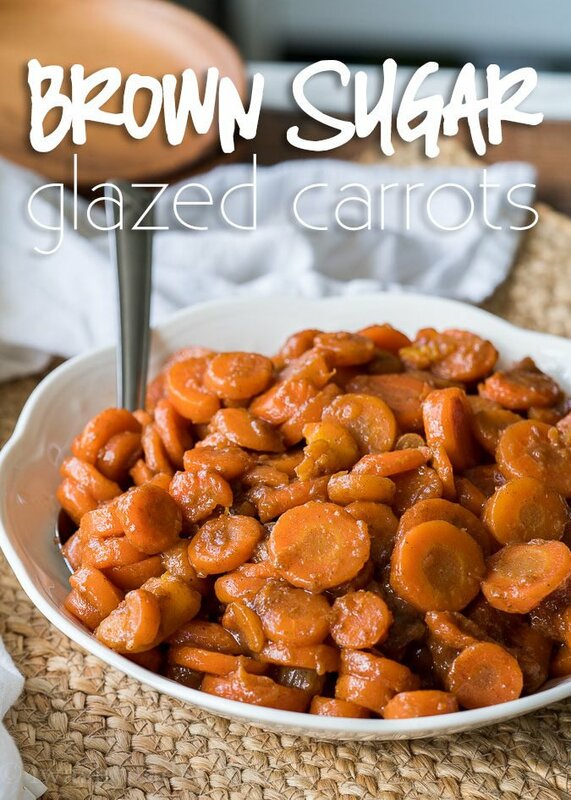 These 5 Minute Brown Sugar Glazed Carrots are the perfect, quick and easy veggie side dish to accompany your holiday dinner! I’ve partnered with Libby’s® Fruits & Vegetables to share this deliciously affordable Thanksgiving Vegetable Side Dish recipe with you! 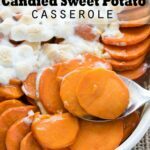 All you need is 5 minutes and 5 simple ingredients to pull off this delicious side dish recipe! 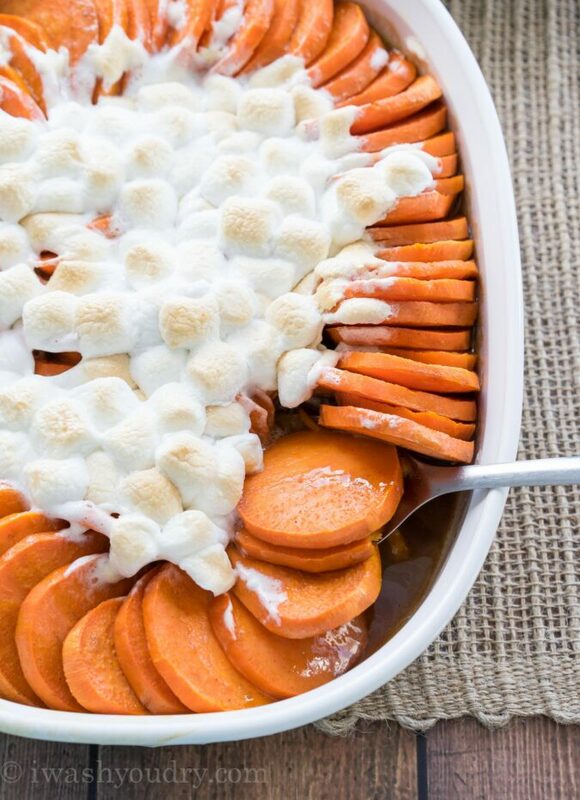 If you’re a little weirded out about combining brown sugar, butter, cinnamon and CARROTS together, have no fear… it’s a magical combination. 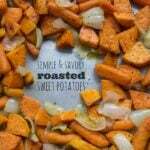 The texture of these carrots is similar to that of a boiled sweet potato. Perfectly tender and lightly sweetened. What makes this recipe even more amazing? 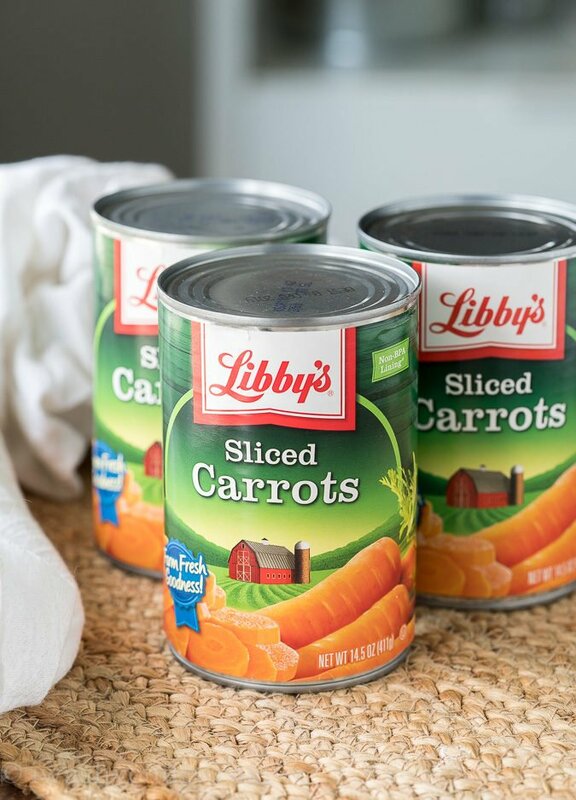 You’ll start with Libby’s® Sliced Carrots! Just open, drain and add to the easy brown sugar mixture. The carrots are fresh and perfectly tender right out of the can. 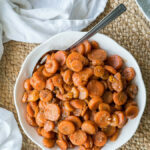 No need to peel, cut and boil carrots this year! You know Thanksgiving is a hectic time for those of us in the kitchen… but it doesn’t have to be. Don’t over extend yourself. Keep it simple by using easy shortcuts, like Libby’s canned veggies, that save time and help you keep your sanity. Right now Libby’s Fruits and Vegetables has an awesome sweepstakes going on! Take a photo of what you’re thankful for, upload it to the Cansgiving site or share it on social media using the hashtag: #Cansgiving and #Sweepstakes and you could win one of ten $350 electronic gift cards and an assortment of Libby’s canned products! Libby’s has also partnered with Meals on Wheels America, City Harvest, and Children’s Hunger Alliance for the second year to pay it forward. Each winner will be able to select one charity that will receive a matching monetary and product donation.! Now that’s a great way to start the holiday season! Find the full sweepstakes rules and details at www.getbacktothetable.com/cansgiving. 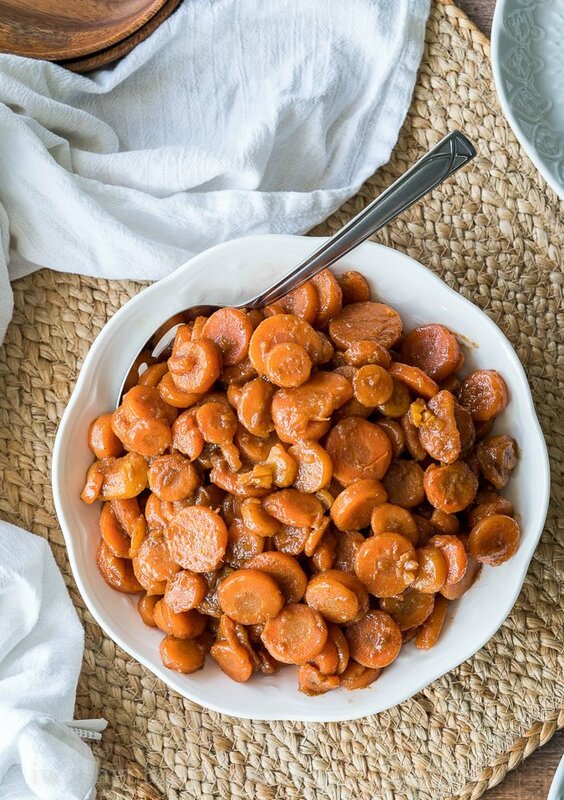 These Brown Sugar Glazed Carrots would be perfect to add to any holiday dinner or even just a regular weeknight dinner when you’re wanting to add some more veggies to the table. 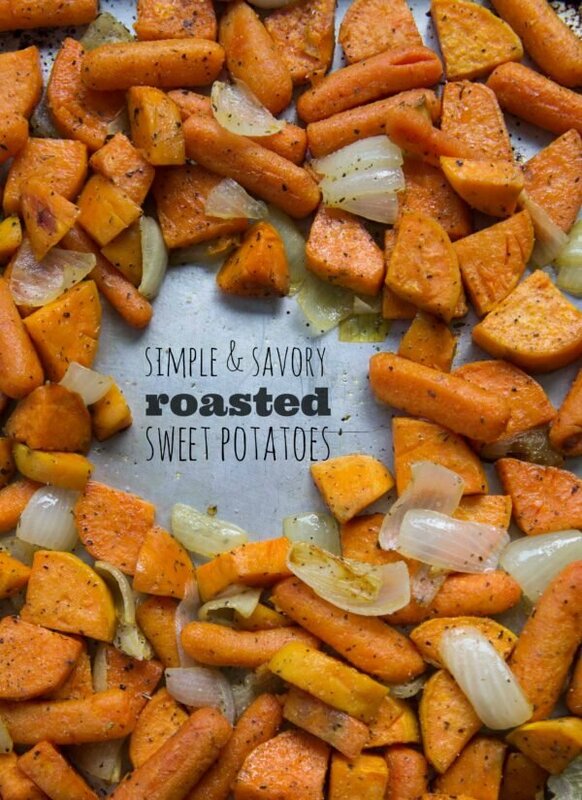 Turn this simple side dish into a masterpiece by adding marshmallows and broiling for 2 to 3 minutes. Want to keep it savory? 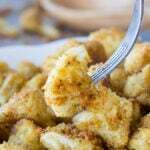 Skip the brown sugar and cinnamon and replace with 1 tsp garlic powder and 1 tsp dried parsley. Make it even quicker in the microwave! Add the butter, brown sugar and cinnamon to a microwave safe dish and cook in 30 second increments until melted and bubbly. 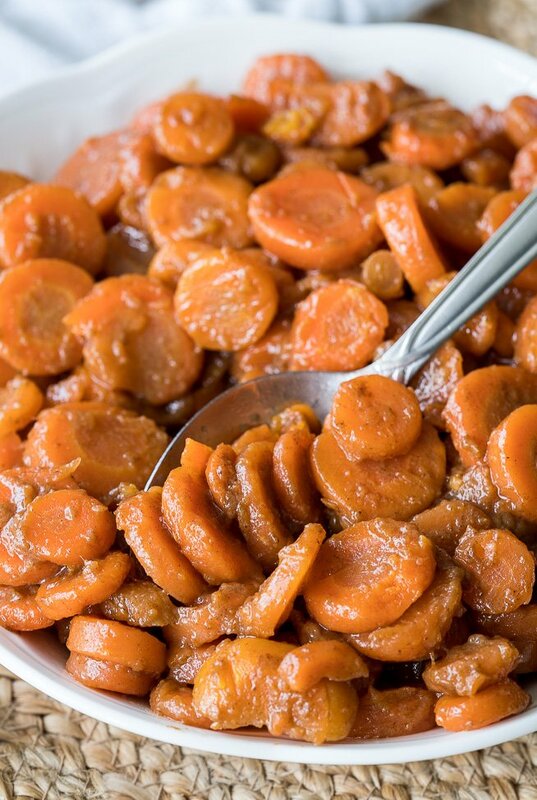 Toss in Libby’s® Sliced Carrots and microwave for 2 minutes, covered with plastic wrap. Stir and enjoy! For more delicious ways to use Libby’s® Fruits & Vegetables, be sure to check out their website! But most of all, take it easy this year, remember what you’re grateful for and eat lots of delicious foods! 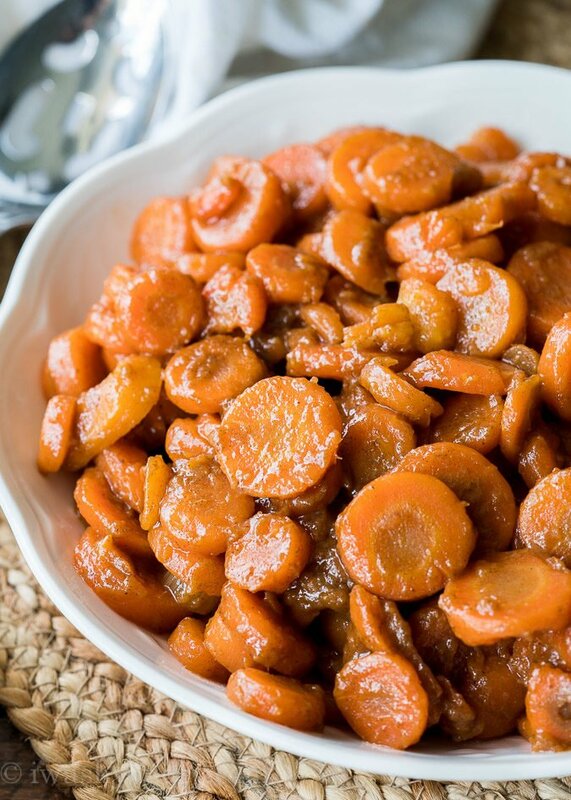 These 5 Minute Brown Sugar Glazed Carrots are the perfect, quick and easy veggie side dish to accompany your holiday dinner! Drain the sliced carrots and set aside. In a large skillet combine the butter, brown sugar, cinnamon and salt over medium heat. Stir until mixture is combined and slightly bubbling. Add in the carrots and stir to coat, cooking an additional 2 to 3 minutes. Sounds good and I’m about to try this. Anyone tried tossing in a few pecan halves at the end? The tastiest and easiest I’ve ever tried from a can. Delicious and fast! We received a gift of kitchen overflow from some friends who moved. Included were many cans of carrots, which I have never tried before. Not wanting to be wasteful, and also showing my gratitude for a gift, I used them in this recipe and they were quite tasty! Thank you.